This Sierra modern polished chrome 4 light semi flush ceiling light features a flush mount and short drop rods, with three gently curved arms featuring leaf decoration. Each arm is fitted with a chunky downward facing faceted glass shade that sparkles when illuminated, with an additional shade mounted in the centre. With sophisticated design styling and voluminous curves for a soft and stylish profile, this four-light fitting features elegant arms and sculptured clear glass shades. 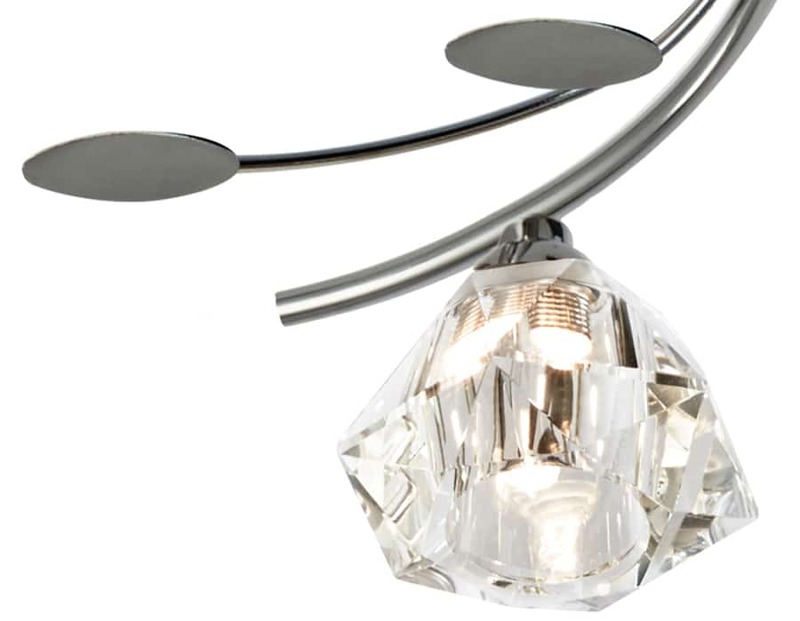 The arms are interspersed with delicate polished chrome leaf detailing for a tasteful, elegant light that would not look out of place in any contemporary home. 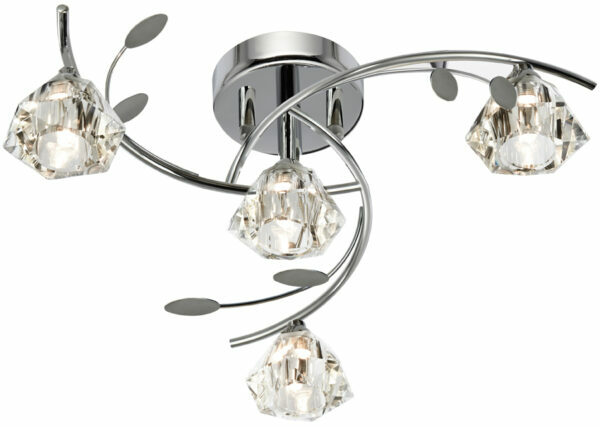 Perfect for a dining room, lounge, bedroom and ideal lighting for any room with a low ceiling. Supplied by Searchlight who manufacture some of the best traditional and modern classic designs such as the Sierra modern polished chrome 4 light semi flush ceiling light you see here.